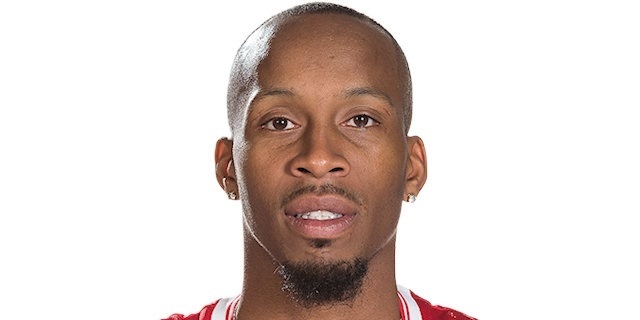 Lokomotiv Kuban Krasnodar came out of a tough road test with its third consecutive win, sinking 13 three-pointers and overcoming the best scoring performance of the season by Tarence Kinsey to hold off Partizan NIS Belgrade 81-87 on Friday night. Lokomotiv improved to 3-2 and sits in a sole possession of the fourth place in Group F, while Partizan dropped to 1-4 and seventh place. Lokomotiv started pulling away in the second quarter behind triples from Valeriy Likhodey, and had a 40-50 lead early in the third. The hosts rallied with an 11-1 run, but never regained the lead as Krunoslav Simon led another Lokomotiv charge. Kinsey led the hosts back within 70-72, but triples from Andrey Zubkov and Simas Jasaitis sealed the deal. Simon paced the winners with 18 points and 5 rebounds, while Likhodey netted 15 points on 5-of-5 shooting from behind the arc. Derrick Brown, Mantas Kalnietis and Jasaitis added 10 points apiece in victory. Kinsey finished with 32 points, the best of all players in the Euroleague this season, and Bogdan Bogdanovic had 16 points, 6 rebounds and 5 assists for Partizan. 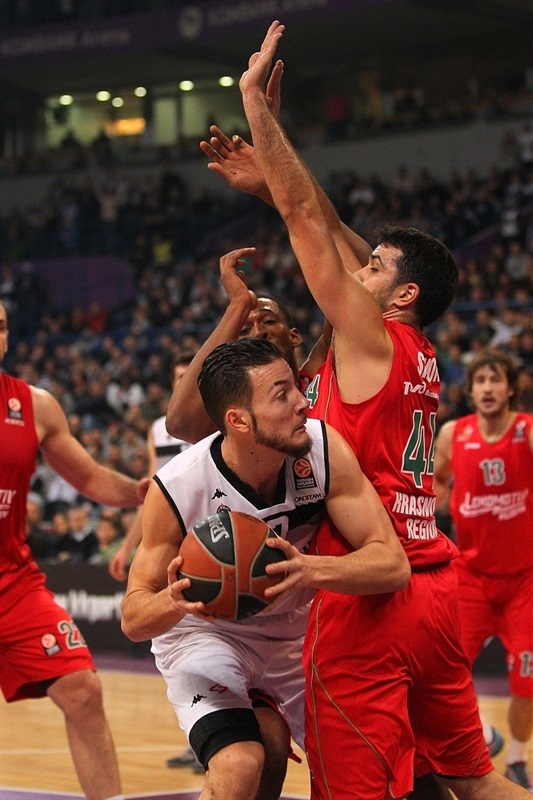 Joffrey Lauvergne chipped in with 10 points plus 6 rebounds for the hosts. Mihajilo Andric hit a mid-range jumper, his first ever Euroleague points, to open the scoring, and Bogdanovic made a layup to help Partizan to a 6-0 lead. Visiting coach Evgeny Pashutin called a timeout already after 90 seconds, and it was Brown making a put-back dunk to open Lokomotiv's account. Jasaitis and Djordje Gagic traded jumpers, before Simon made a floater cutting it to 8-7. Kinsey nailed a baseline jumper, and Bogdanovic hit a hook-shot to briefly extend the hosts’ lead. Simon and Brown drove to the hoop on back-to-back possession to make it 12-11. Brown’s second-chance points, an uncontested layup and a dunk, gave the visitors their first lead, and Aleks Maric added a layup in traffic. After the second timeout by Partizan coach Dusko Vujosevic, Bogdanovic snapped a 0-10 run with a floater, and Kinsey followed it with a fastbreak layup. Jasaitis nailed a three-pointer to keep Lokmotiv in front, but Nikola Milutinov finished the first quarter with a basket from close range, 18-20. Partizan regained the lead on the opening possession of the second quarter with a triple from Kinsey. On the other end, Richard Hendrix hustled to make a tip-in and Simon drove the lane for a floater and a 21-24 edge, but Partizan went right back in front as Lauvergne nailed a three and Kinsey scored a basket-plus-foul. Kalnietis answered from downtown, before Kinsey hit a long jumper. Hendrix scored inside for the visitors, but Kinsey drove for another basket and Musli scored a reverse layup to make it 33-29. Lokomotiv regained the lead as Likhodey nailed a pair of triples, and Maric made a tip-in in between those shots, helping the visitors to 34-39. Despite Partizan turning to its zone defense, Likhodey nailed his third triple of the quarter in as many attempts, but Gagic hit a jumper and Lauvergne slammed a put-back to close to 38-43 at halftime. Brown opened the third quarter with a layup, before Likhodey nailed another three-pointer and Kalnietis made a put-back for a 40-50 lead. However, Gagic hit from mid-range and Lauvergne made a layup , sparking the hosts’ run. A jumper from Bogdanovic and a triple from Andric brought Partizan within 49-51, and Kinsey’s fastbreak dunk capped a 9-0 run to tie the game. Simon immediately answered from long range, and added a pair of free throws, 51-56. Nemanja Bezbradica had a dunk for the hosts, but Marcus Williams scored from close range and Simon hit a floater-plus-free throw to make it 55-61. In the final minute of the quarter, Lauvergne made a put-back, and after free throws from Hendrix, Bogdanovic beat the buzzer with a jumper to come within 60-63. Hendrix scored from inside, and Kalnietis sank a corner triple as Lokomotiv extended the difference to 60-69 at the start of the fourth. The visitors held Partizan without a point for almost four minutes before Lauvergne split free throws and Kinsey buried a long jumper. Simon hit an off-balance triple, but Kinsey answered with a jumper, then added a driving layup-plus-foul, before pulling up for a jumper pulling Partizan within 70-72. However, Andrey Zubkov and Jasaitis nailed back-to-back triples. Hendrix had a big block on the defensive end, then followed it with a tip-in to push Lokomotiv to 72-80 with less than two minutes to go. 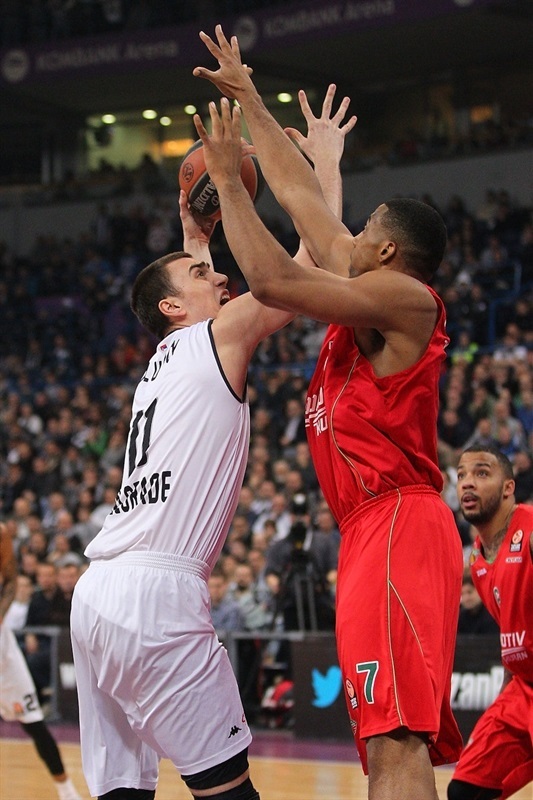 Kinsey drove the length of the floor to keep Partizan’s hope alive, but Zubkov nailed a corner triple to seal the deal. 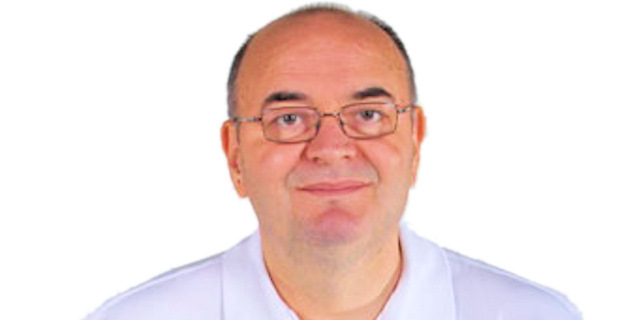 "Congratulations to Lokomotiv for the win they deserved. The reason for our loss is that Lokomotiv is an excellent team. Their players were in great form tonight and hit 13 three-pointers. We had troubles with our defensive rebounding in the first half. We miss a lot injured players, like Tepic and Milosavljevic, but our players had to be better concentrated from the first to last minute. There was only Kinsey who was in good form. What was on the paper was clear on the floor; Lokomotiv is the better team. " "I would like to say we prepared well for game against Partizan. Our aim was to disable Lovergne inside play and to limit Bogdanovic’s outside shooting. And we let other players to do what they know best. 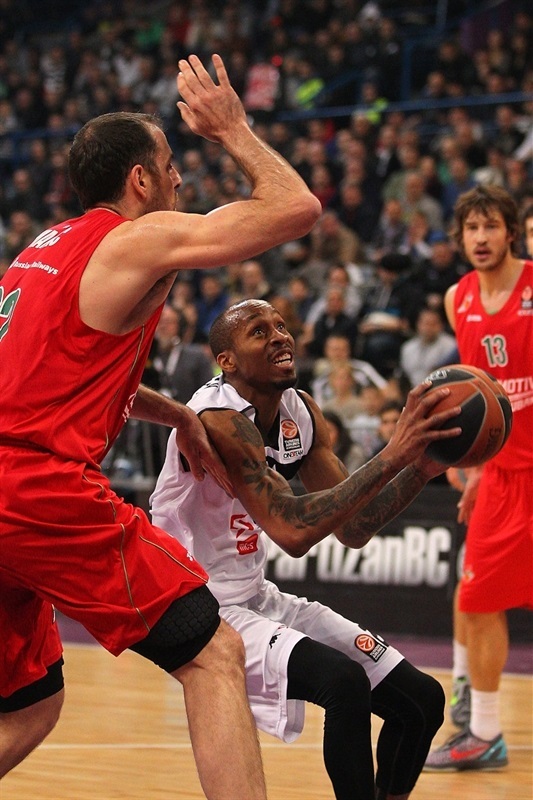 Tarence Kinsey took the opportunity and had an incredible evening. But our goal was to stop two main players and we did it. I have to say we hit many triples tonight and we controlled the game all the way. It is hard to say if this win could be decisive for our playoffs plans. 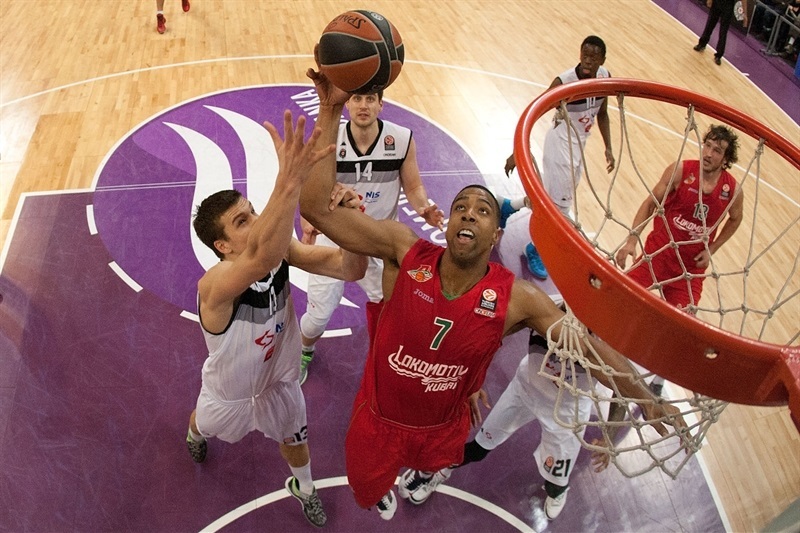 We play each game in the Turkish Airlines Euroleague like it is a Final Four game." 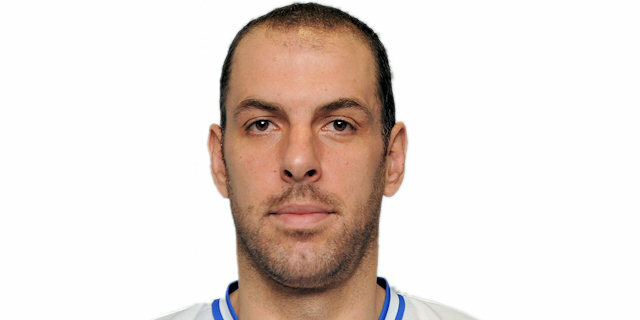 "I would be happier if I played worse and Partizan won. We tried and we gave our best, but it was not enough. Lokomotiv players were in a fantastic shooting mood and all our efforts were killed by their shots." "Thanks to the Partizan supporters for the warm welcome and for hosting our team for a real great game. It was so tough until the last second. I think our three-point shooting decided the winner. Especially Valeriy Likhodey, who was incredible."